MYRIAD SPHERES: NEW RELEASE: Sullivan's Reign Book 5 of The Sullivan Saga! NEW RELEASE: Sullivan's Reign Book 5 of The Sullivan Saga! 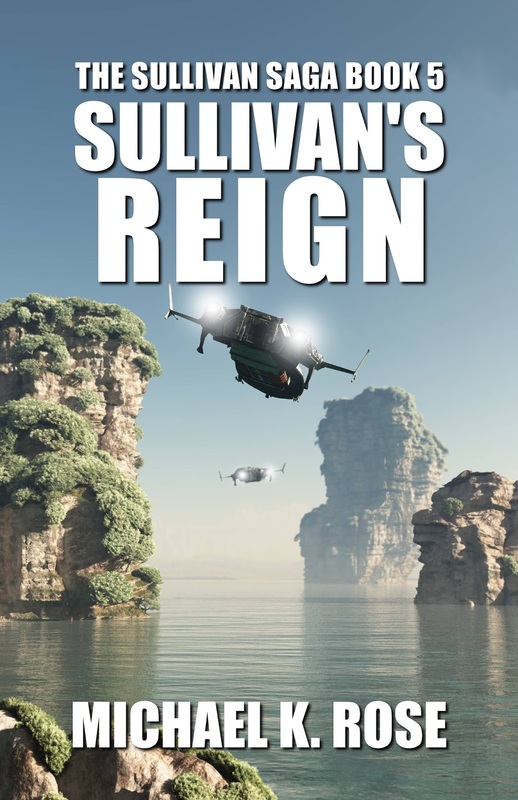 Sullivan's Reign, the 5th book of The Sullivan Saga, is here! Get your Kindle copy at the links below. Richard Sullivan has been pulled into a war he doesn’t want to fight. Gareth Finch, the founder of a sinister cult, is not yet finished with his work. To stop him, Sullivan must travel to the violent, corrupt planet of Tritica, where Finch has established himself as a criminal kingpin. As each side battles for supremacy, it will take a final, deadly confrontation between Sullivan and Finch to decide the planet’s fate. Sullivan's Reign is the fifth novel of The Sullivan Saga. The adventure will conclude this fall in Sullivan's Fire.